Initiating any business is as painful as trying to get over a failure. For this reason, many skillful people refrain from jumping into entrepreneurship. Some of those who have the heart to push themselves go through back-to-back pains of starting and failing in business. Starting a taxi business is no less challenging. Nevertheless, there are ways which guarantee success up to a considerable degree. Entrepreneurs can bring down the probability of failure significantly by adopting these ways. How to start a taxi business? Following points in the same order present the path to a successful taxi business. Market identification is one of the most significant prerequisites to the taxi business. Many taxi owners emphasize on marketing of business and providing the right selection of features. While both of these factors are also essential, ignoring appropriate targeted market may push all the effort in vain. ->The quality of existing ride-hailing system. ->The time required by existing taxi services to reach the passenger’s location after booking. ->The cost of operations in the region. The inflation rate is also an appropriate measure to predict future costs. ->A startup in a market with less demand and higher operational cost will be more likely to fall into losses. The next crucial step is to identify the local demographics. Socioeconomic classes are the primary consideration while assessing the demography. This assessment enables the taxi owners to introduce the most suitable types of services. For instance, if the average income is relatively lesser in a country, the owners should provide low-cost vehicles. Such vehicles will require smaller maintenance and fuel costs. Consequently, passengers will also be able to get a cost-effective solution. Moreover, research into local culture and traditions is also significant. Marketing of a business is far more productive if it highlights the native culture and popular trends. Partnerships with notable businesses in a region serve as a catalyst to a taxi company’s growth. Both partners supplement the marketing efforts of each other. Apart from marketing, they also assist in acquiring more customers. 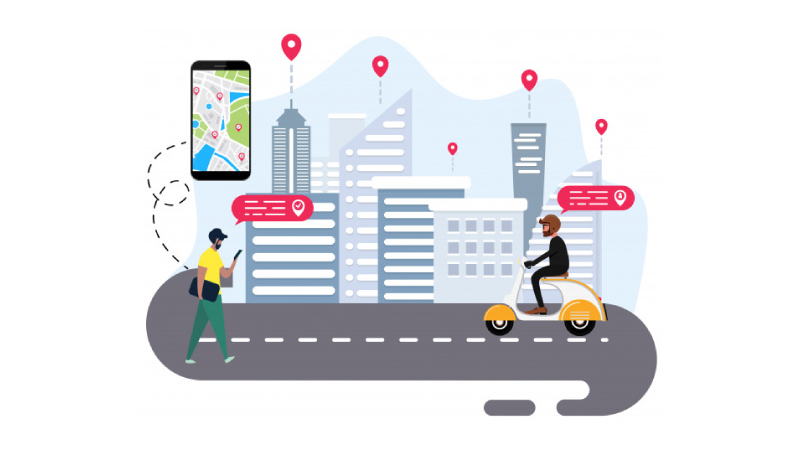 Some of the most noteworthy collaborations from ride-hailing industry include UberEats and McDonald’s for food delivery and Uber and Toyota for manufactured vehicle utilization. Moreover, it is not essential to collaborate with businesses from a different industry. For instance, Lyft and Waymo are ridesharing competitors but working together for autonomous vehicles. Such partnerships within the industry turn rivals into beneficiaries allowing every partner to grow remarkably. After a comprehensive market and user research and attaining partnerships, owners need to develop an efficient app. Some of the taxi app features vary depending on consumer needs. Nevertheless, starting your own taxi business requires the app to perform a few unavoidable functions. Route-planning is the most vital function which enables drivers to reach passengers in the shortest possible time. Besides, the ability to track drivers is also indispensable to outperform the traditional taxi rivals. App speed and user experience are crucial to sustaining the high competitive index. 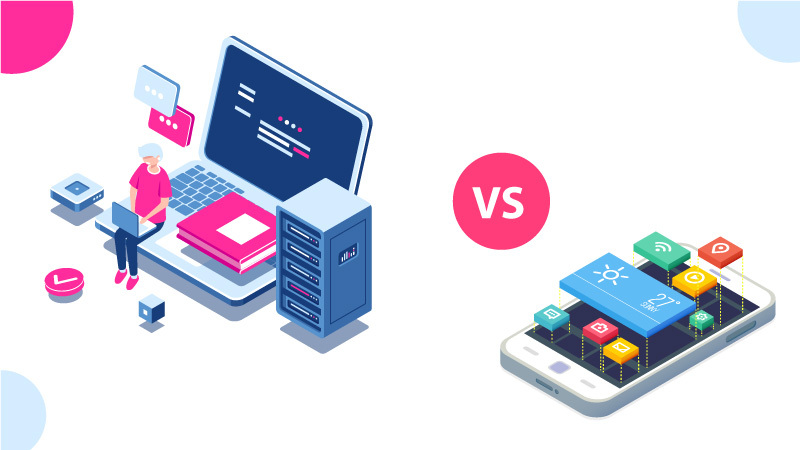 You can get away with ordinary app performance only through either the absence of competitors or poor competitor’s performance. The customers should know about your services ahead of a business launch. The passengers should be eagerly waiting for you to launch the service. This approach pushes the customers to rush and try the new option at their disposal. It is advisable that the service remains flawless in the initial weeks. 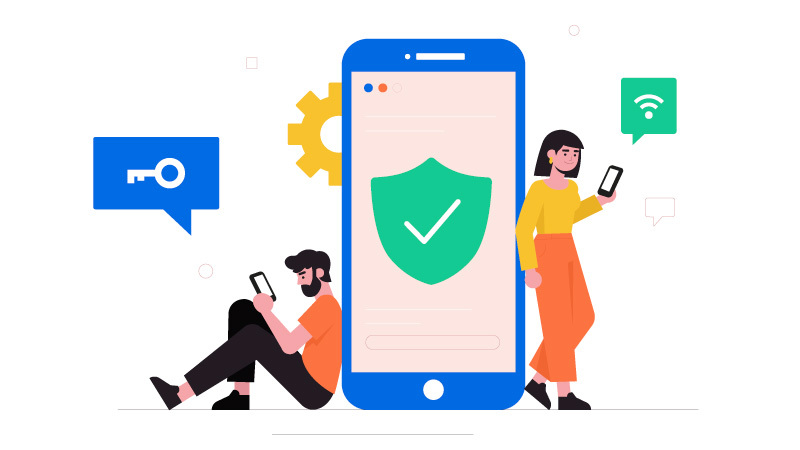 If the app fails to impress customers, the owners may never be able to repair the lost reputation. Consequently, they end-up either rebranding or, in the worst circumstances, closing the business. Social media should be one of your primary channels to create this hype. Although ads in print and electronic media and billboards are also effective, yet social media provides a low-cost solution. This approach is also a way to build awareness among the passengers about your services. Each person knowing about your business prior to launch is a potential passenger after launching. Stirring up this hype may not be necessary for starting a business, but it is undeniably a significant strategy. The pre-launch awareness should be sufficient to provide a considerable initial customer-base. However, your business needs to attract more customers to keep increasing the market share. Instead of pushing more money in efforts to grab greatest share, you can use the existing customers for the purpose. 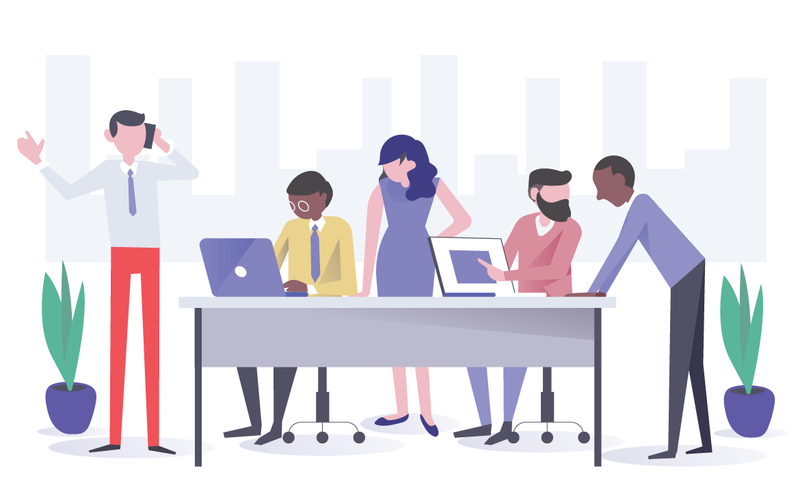 Referral codes provide one of the most proven ways of increasing user-base. A user serving as a referee can invite a non-user to download your app. 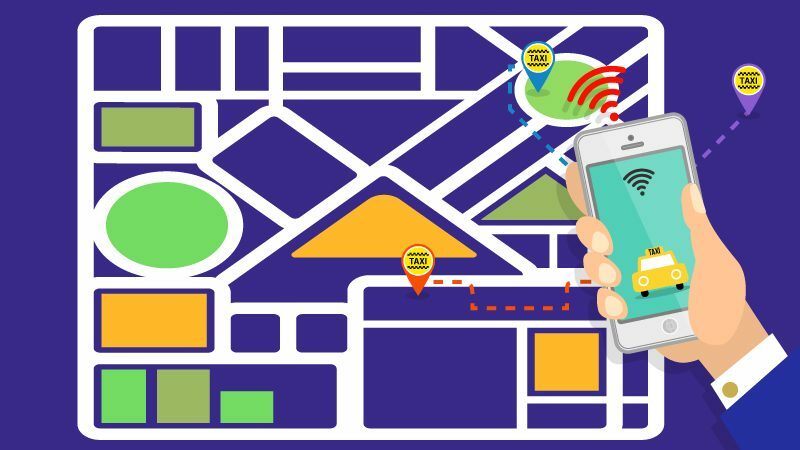 As a result, you will add another customer while the customer will get a reward in the form of a free or discounted ride. After developing a sizable user-base, you may move on to expanding the business in more regions. The phrase “sizable user-base” is a relative one depending on the targeted market. A thousand downloads should be sufficient for expansion if the population of initial region is less than 0.1 million. Conversely, ten thousand downloads would be insufficient to look into other markets if the said population is over five million. The regions with high competition are more likely to lose a customer. A user may switch to an alternate ride-hailing service provider if one offers better services with lower costs. Number of initial operational regions. The number of company-owned vehicles in the beginning. The kind of features you intend to incorporate in your mobile app. The number of marketing channels used and the extent of their utilization. CabStartup has the most efficient pricing model for providing a taxi dispatch platform. The business owners can rebrand this dispatch software to use it as their own company. You can use our software for free as a trial to evaluate its performance. Moreover, you can add as many additional features apart from the existing ones. Taxi apps are making serious numbers all around the world. Ride-hailing businesses are conquering the global taxi industries. 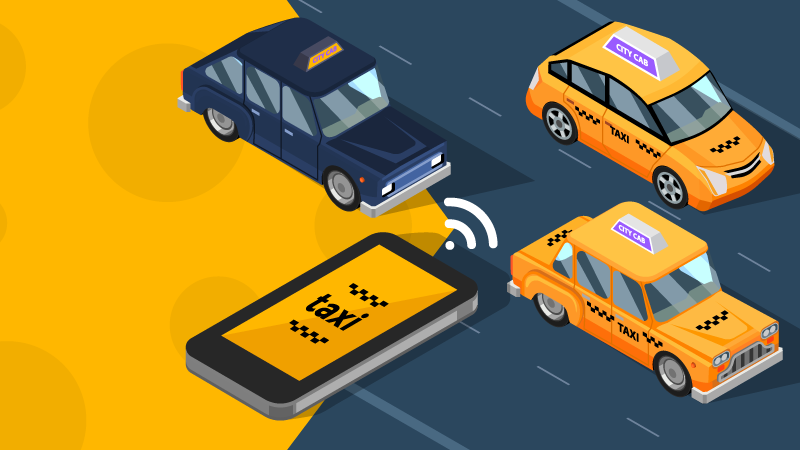 Entrepreneurs with no or little experience in this industry are often interested in knowing about the correct choice of taxi app development companies. This article shares the points one should keep in mind while making a selection. There is also a brief analysis of taxi app development cost. Later in the text, we share some essential features which ensure a useful app. 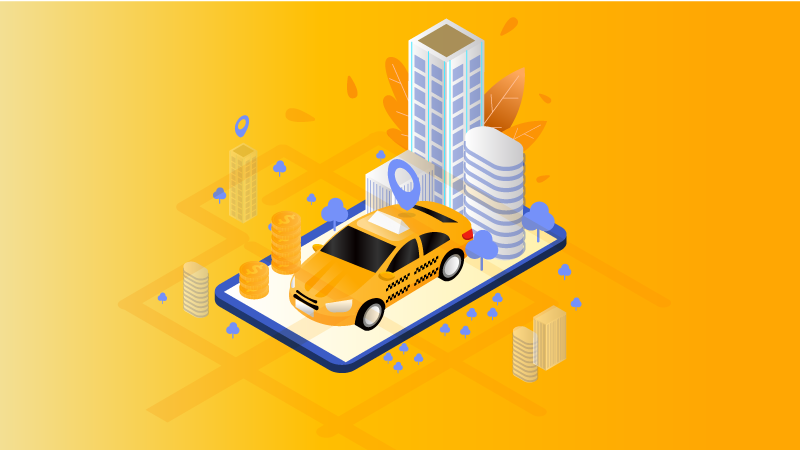 How to Select Taxi App Development Company? To start with, make a query on any search engine of your choice to find the best app development company. There will be tons of results sharing companies claiming to be the best ones. Instead of finding the company, you will end up more confused than ever. What is the point of querying in the first place then? This practice will enable you to estimate the amount of “scams”. Last thing one would desire is to pay a company which lacks the expertise for taxi app development. In essence, a company with poor capability may win the entrepreneurs’ trust with intensive but misguiding marketing approach. Following are the ways one can identify such companies. If a company claims to have years of experience and unparalleled expertise, it should have real case studies. Without working on real-world projects, any such claim would be an exaggeration. Some companies argue that they have no disclosure agreement (NDA) with their clients. Although it is highly unlikely that each of the clients signs NDA, yet there is a workaround in such cases too. You may take the example of CabStartup. We have enabled many aspirants to build their taxi business from scratch and attain a significant market share. Some of the success stories are on their way to lead the local taxi industry. Many taxi booking app development companies are putting fake case studies on sites to convince visitors. Rarely one finds a successful taxi company with no presence on the web. Thus, one can comfortably find out if the posted case study is real or fake. Any company that has prior successful experience of working on on-demand taxi app development should have a working prototype. They can provide the demo of functions and features of their system. Beware! The companies can fool you with inefficient software concealed under fancy interface. Create at least ten instances of drivers and allocate distinct tasks to evaluate the performance. Although ten instances are still insufficient, yet they are enough to prove expertise. 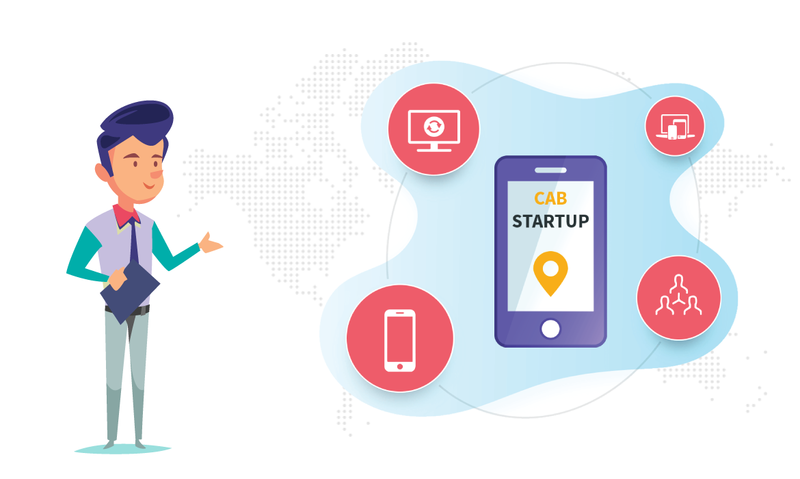 CabStartup also understands this fact that the fraudulent groups in the industry are misguiding inexperienced entrepreneurs. Thus, we enable our customers to use the software system for free before purchasing it. For this reason, entrepreneurs trust us. This is debatable because many companies are using web-based services. Again others are relying on local servers as well. Many taxi mobile app development companies offer “script” of Uber or Lyft. They claim that this script is as good as actual app. However, we already reasoned out how cloud-based systems are better than any other choice. If rest of the options were good enough, we would not have redefined our business plan to incorporate cloud infrastructure. Companies have varying price structure depending on their architecture. The experience of CabStartup leadership enabled them to introduce two distinct pricing models. 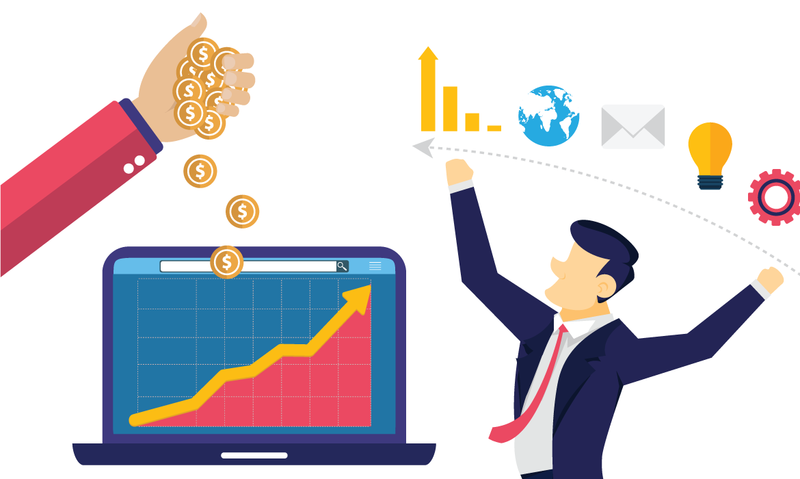 The reason is the fact that some entrepreneurs are interested in bulk investment while others prefer monthly or weekly subscriptions. We offer one-time as well as monthly subscription-based prices. The features in both models are more or less the same apart from a few minor differences. For instance, one-time paying customers get access to in-app wallet for drivers and passengers. Besides, they also get access control hierarchy. Regardless of your choice of developer, CabStartup strongly discourages to use developers who build the app from scratch. The features vary for different taxi companies. New aspirants also tend to envisage distinct features from the existing ones. Irrespective of the distinguishing features, every taxi app must offer the following. Many of the features of passenger app vary from those of drivers. Every passenger should be able to create a separate account. In essence, this account remains associated with a contact number of smartphone owner. The app should share the history of at least ten most recent trips. They can use this historical data for complaints or request the same drivers who served them earlier. Besides, the application should also share the vehicles in the vicinity of one’s predetermined pick-up location. Once they book a ride, the passengers should be able to view the arrival time of drivers. Moreover, efficient app also provides real-time location of drivers. In-app communication facility is essential to enable drivers to reach customers in time. There are multiple ride-hailing scenarios. A company may add as many details as they want as long as the performance remains intact. Drivers also need to have distinct accounts and can view the history of recent rides. Knowing about nearby drivers is vital to allow drivers cover all areas in the region. Apart from ride status and communication with passengers, drivers should also have the ability to rate passenger. Driver and rider wallet are also notable features. Administrators should not only be monitoring the drivers in the region. The panel should allow them to run effective data analytics and get some meaningful insights. Furthermore, an authorized admin can redefine geo-fencing – that is the radius of operations. An interactive dashboard should give statistics about the tasks assigned to every driver. Software of CabStartup allows admins to manage the accounts of drivers and passengers. Some admins have the privilege to block or reopen an account. They also have the history of payment and every ride to settle disputes. Start your free trial of CabStartup right now. No other sector has revolutionized as much as urban transportation in these first two decades of 21st century. Many innovative businesses emerged taking the leverage of smart technologies. Rideshare business model is becoming one of the most successful models besides on-demand taxi and bike taxi services. This article explains rideshare business model and explores the reasons for its success. What is Rideshare Business Model? Over 80% of vehicles in metropolitan roads around the world have a single passenger. This problem is creating a massive inefficiency because each of these vehicle drivers is consuming road space of entire vehicle. Moreover, this problem persists in traditional taxis too whose number of passengers is mostly not more than one at a given time. Consequently, the contemporary century-old traffic model is becoming unsustainable. Public transit systems (PTS) including rapid buses and subway trains are only a small part of solution. A commuter cannot book a seat or estimate the arrival time without traveling to stations. Most PTS offer the facility of phone call or website. However, smartphone apps present the most effective solution with remarkable user experience, unlike websites. A commuter can book a seat with rideshare app while at home and find the nearest pickup point. Public transport vehicles only stop at prefixed routes. In contrast, rideshare apps allow dynamic stations. The vehicle stops at locations of riders’ choice while remaining inside the radius of operation. 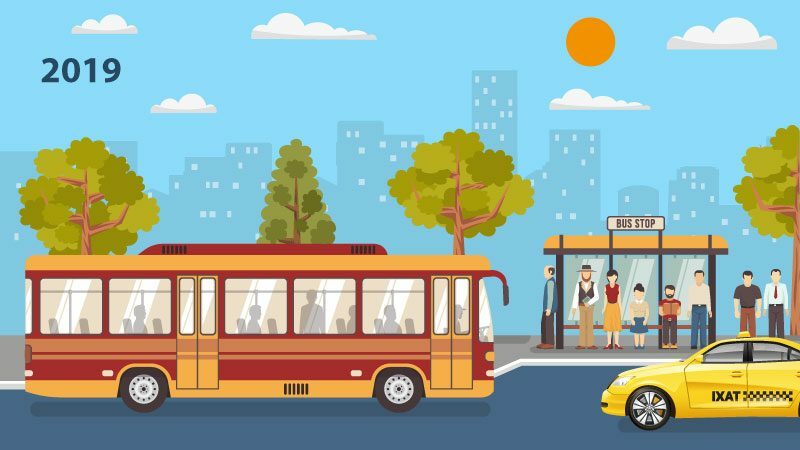 Why is Rideshare Transport Model Successful? 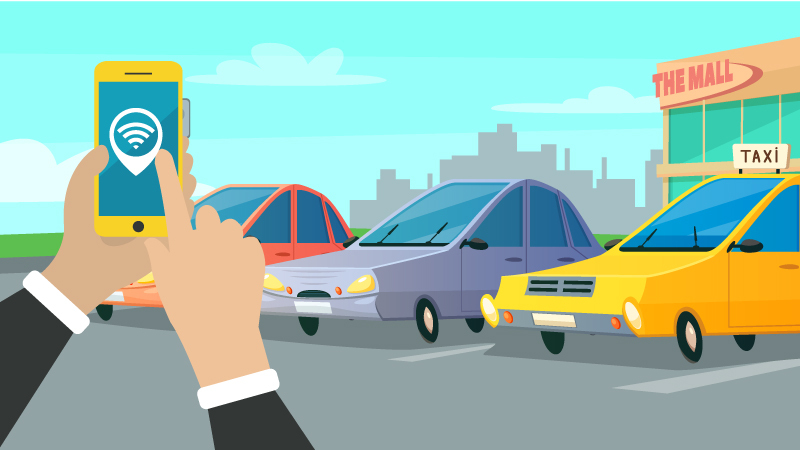 Growing traffic congestion is not the only challenge addressed by rideshare businesses. They are also ensuring low-cost solution to commuters with better profit margins for service provider. One drawback of taxi business is the fact that drivers remain idle most of the time. This problem burns excessive fuel and consumes more time without returning enough. Cloud-based rideshare model ensures that more people use single vehicle. This way, per passenger cost drops down. More people traveling in the same ride enable each rider to distribute cost. In essence, drivers are not getting a lesser amount of money per ride. Instead, the increased utilization enables them to allow passengers pay significantly less. Research indicates that rideshare services earn substantially more per hour of operations than taxi services. 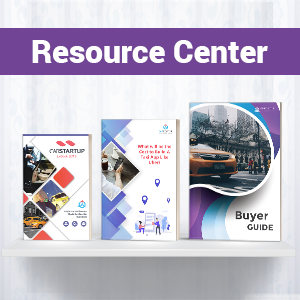 Thus, rideshare business plan is successful in perspective of passengers, drivers, and service providers. Like one of the features in Uber business model, most rideshare apps enable ratings for both passengers and drivers. This dual-rating and feedback facility improves user experience. The facility develops a sense of understanding among the two stakeholders. Any effective rideshare app would act on ratings and feedback. Drivers with poor ratings either face permanent or temporary termination. Those with decent ratings get bonuses. Similarly, the apps also penalize passengers with low ratings. Usually, the regulators lower the number of promotional offers to such customers. In intense cases, customers may also face closure of their account. As mentioned earlier, booking a seat through smartphone is mostly unavailable in public transit systems. Rideshare model allows passengers to reserve a seat in the vehicle of their choice. This feature reduces the pickup time and allows passengers to prepare in time accordingly. The cost of traveling during peak traffic hours often goes extremely high. Thus, seeking a taxi is rarely an option for commuters. Since the stops are dynamic, rideshare vehicles can far cover more areas than traditional public transport system. Sharing model also allows changing areas of operations instead of sticking to the same radius. Customers have the facility to get the estimated arrival time of vehicles. They can also view the route of vehicles to find the nearest pickup point. Rideshare is unable to pick riders at their doorstep unless the pickup location falls on driver’s route. However, it ensures to reduce the walk time as compared to public transport. Customers prefer walking few steps out of their homes instead of paying many times more by acquiring a taxi. The inconvenience of keeping hard cash or credit card is a thing of past. Now both of these payment methods are merely options. Customers mostly use the in-app wallet which allows filling balance ahead of ride or paying later. Like other features, this facility saves time and ensures that passengers have less number of things to care about. One of the most notable facilities is the security of passengers. Unlike taxi rides, shared mobility allows monitoring staff to track rides for surveillance. Any efficient rideshare app provides the ability to store data of customers and drivers. Admins can access this data for accountability purposes. Furthermore, the apps also allow settling disputes in a highly effective way. Traditional taxis do not save minute details in record of rides. In contrast, shared apps keep track of the areas traversed and conversation between driver and rider. However, the apps need to ensure data security and avoid breaching privacy unless a dispute settlement requires so. Some vehicle manufacturers are designing vehicle interior, particularly for ridesharing businesses. Such cars and vans will feature seats with increased security features. Besides, level four autonomous vehicles are kicking off the commercial operations. Alphabet’s Waymo is one of the first rideshare services featuring autonomous vans. Many companies are planning to offer hopped rides in the upcoming times. These rides will enable passengers to reach the destination by hopping more than one vehicle under same booking. You can be the upcoming prodigy in rideshare industry. We are here to help you with our cloud-based rideshare system. Take your time with the free trial to test the system’s efficiency. We will get back to you once the trial is over.